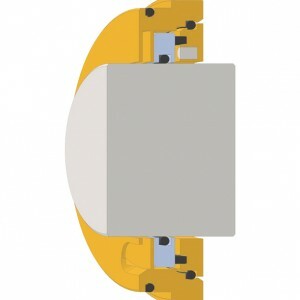 An Isomag is a sliding face bearing isolator where the closure means utilising magnetic force, rather than axial face lading by springs or bellows. This design technology, coupled with their unique face combination, sets a standard ahead of other bearing protection devices. Isomags hermetically seal the shaft in all low pressure centrifugal applications. When the equipment is operating or on standby, there is no aspiration of air or liquid across the faces. Isomags are easy to install, are tolerant of misalignment and perform equally well in dry running or liquid lubricated environments. Isomag bearing isolators offer all metallic primary construction and are both ANSI, API 610 approved. IsoMag magnetic oil seals outperform both lip and labyrinth seals and offer a range of benefits. The MAG P V7-XL for pump applications. 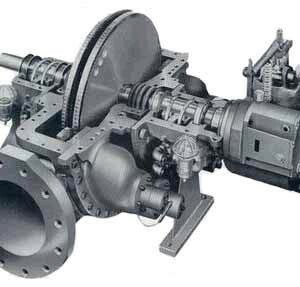 The MAG P V9-XL for steam turbine applications. ISOMAG bearing seals stop water and condensate from contaminating your turbine oil. 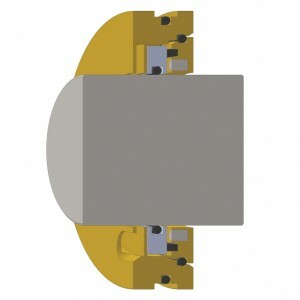 Isomag’s unique design utilizes lapped flat faces to create a 100% positive seal that is governed by magnetic energy. Unlike lip seals, IsoMag bearing isolators do NOT damage your host equipment and can increase your Mean Time Between Repairs by 1000%. Unlike labyrinth isolators, Isomags perform reliably in all types of lubrication systems, including oil mist. 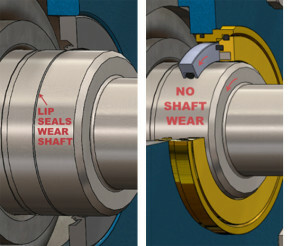 Lip seals use equipment’s shaft as the primary sealing surface, causing wear to your host equipment. 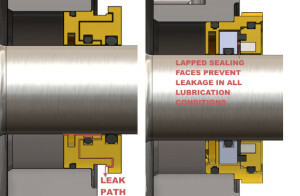 Lip seals average life cycle is 3-6 months, leading to frequent downtime and less MTBR. Isomag’s o-ring driven sealing face rotates with the shaft, causing zero wear on your equipment. Isomag’s average life cycle is 5-10+ years, which greatly increases the MTBR of your equipment. Labyrinths are designed with an inherent leak path. Labyrinths only work well in certain lubrication conditions (e.g. circulated, splash) but are not efficient in others (e.g. oil mist, bath, flooded). Isomag’s design utilizes lapped flat faces that create a 100% positive seal leaving no leak path. Isomags seal efficiently in all lubrication conditions, and are currently the only isolator that achieves zero stray mist leakage in oil mist applications. 1st Support Services Area, Jubail Industrial City, Kingdom of Saudi Arabia. TESCO Engineering is looking for a pump/mechanical technician with a minimum of 5 years experience as a hands-on mechanical technician. You must have extensive pump experience, stripping, repairing, assembling and testing. TESCO Engineering is seeking a sales engineer. The candidate must be able to present company products, service and market information to prospective and existing customers, develop new business relationships from cold calls and be able to communicate customer and field engineering knowledge to internal resources. TESCO Engineering is seeking an experienced Application Engineer with a minimum of 5 years experience in the operational aspects of design, engineering, manufacturing, servicing, repairs and technical reporting of mechanical seals, rotating equipment and other sealing solutions. TESCO Engineering is seeking a qualified machinist. 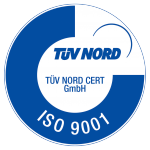 You must have a turning trade certificate and a minimum 8 years practical experience with turning in a workshop environment. CNC experience would be advantageous. © 2015 Cooper & Westwood Advertising.